Friday, March 16, 2018, 9:30 a.m. and 11:30 a.m. 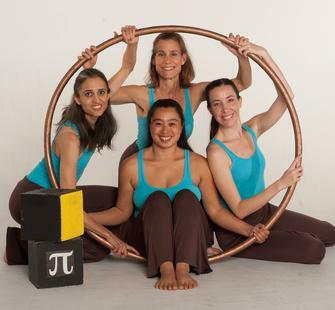 The Daughters of Hypatia, the latest production from choreographer Karl Schaffer, celebrates great mathematical women throughout history with dynamic dances inspired by their work. Four dancers recount intriguing stories from these women’s lives with explorations of circular motifs, colorful projections of live video mosaics, complex clapping games, surprising audience interactions, and more.